A STAR of Western films, Andy Clyde, who was born in New Rattray, Blairgowrie, Perthshire, was brought up in Helensburgh where his uncle, Bob Clyde, had grocery shops on Sinclair Street and West Princes Street. Born Andrew Allan Clyde on March 25 1982 the fifth of six children of Scottish theatrical actor, producer and manager John Clyde and his wife Mary, Andy joined his siblings David and Jean on stage in childhood. Andy first went to America in 1912 on tour in a company performing a play called The Concealed Bed. At the invitation of his close friend James Finlayson, he went back to the United States in the early 1920s to join producer Mack Sennett's roster of comedians. An expert at makeup, Clyde played a variety of supporting roles, from city slickers to unshaven bums. It was said that he could play anything from grubby young guttersnipes to old crackpot scientists. He also co-starred with Billy Bevan for such classic Sennett two-reelers as Wandering Willies (1926) and Ice Cold Cocos (1927). His best-known characterisation was as a grizzled, paintbrush-mustached old codger. In this guise, Andy was Sennett's most popular star in the early talkie era, appearing in as many as 18 comedies per year. After parting company with Sennett in 1932, he worked briefly at Educational Studios, then in 1934 signed on with Columbia's short subject unit, where he remained for the next 22 years. With 79 shorts to his credit, Andy was second only to the Three Stooges as Columbia's premiere comedy attraction. Apart from them, he also outlasted every comedian on the Columbia payroll. He also appeared as "California," comic sidekick to western star William Boyd, in the popular Hopalong Cassidy westerns of the 1940s. He also kept busy as a character actor in feature films, for example as a sad provincial postman in the Katharine Hepburn film The Little Minister and as Charles Coburn's drinking buddy in The Green Years. 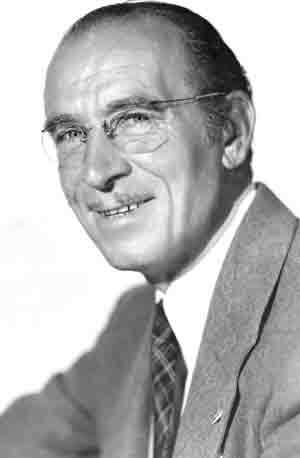 His busy schedule included character roles in such films as Million Dollar Legs (1932), Annie Oakley (1936) and Abe Lincoln in Illinois (1940). His last theatrical film was released in 1956, but he kept up his hectic pace on TV in the 1950s and 1960s, appearing regularly on the weekly series The Real McCoys, with fellow veteran character actor Walter Brennan, Lassie, in which he played an eccentric farmer and nature lover, and No Time for Sergeants. He married a former Mack Sennett bathing beauty, Elsie Maud Tarran, on September 23 1932 in Ontario, San Bernadino, California. A son, John Allan, was born in 1935 but tragically died in 1944. Andy was a real trouper and one of Hollywood's best-liked actors, never giving less than 100% to any role of any size, according to Hal Erickson of All Movie Guide. He has a star on the Hollywood Walk of Fame, and continued to perform on television until his death at the age of 75 in Los Angeles, California, on May 18 1967. Lieutenant Commander Gill Aitkenhead MBE RN Rtd., who is a Deputy Lieutenant of Dunbartonshire, is Andy's first cousin twice removed. She lives in Helensburgh, as does another descendant of the Clyde family, whisky executive Alistair Paton.